Style post! For today's look I took everyday "mom clothes" to new heights! No really I put on high heels...that's big. Haha. But seriously. My go-to outfit is jeans and a t-shirt. So I decided to dress it up with some bright heels and a statement necklace. Super simple! So with just a few simple accessories, you can go from the "meltdown hour" to happy hour! Unless they're at the same time, then you'll just look awesome while your kid cries. Winning! 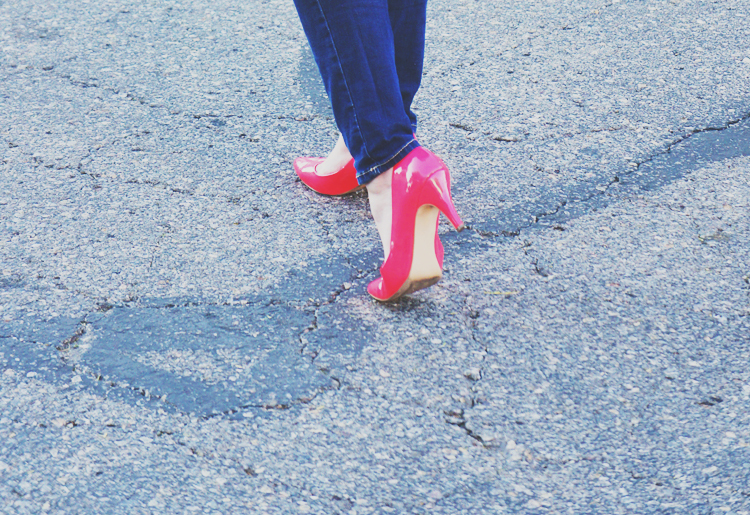 If you're interested in more style posts, then check out my sisters blog A Beautiful Mystery!